When my son (now in his 20s) was tiny, he had gone to see a film with his best friend’s family. I never did get to learn the name of the movie, but it had a scene in it, which, described by a 4 year old, consisted of a cupboard with a door. You walked into the cupboard and you entered another world. “A magic world,” hissed the little fellow, eyes sparkling at the memory. I jollied him along as all mothers do, but the picture in my mind’s eye never faded, improbable as it was. After all, where do you find cupboards through which you can escape to a fantasy world, full of spires and castles and kings and queens and magic? And then I went to Prague. If you imagine an aircraft to be a latter day cupboard, you’ve more or less relived the film. 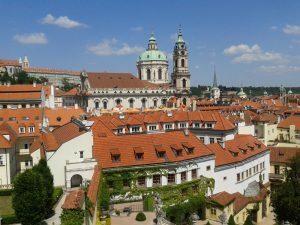 Prague is, indeed, a completely magical place with a winding river, with quaint bridges, each with its own character, a hillside crammed with monasteries brewing beer, churches (the popular Infant Jesus of Prague is in one of them), castles, pubs, museums, vast open squares, street cafes and restaurants. It was the restaurants that represented the major part of the magic for me, and here’s why. 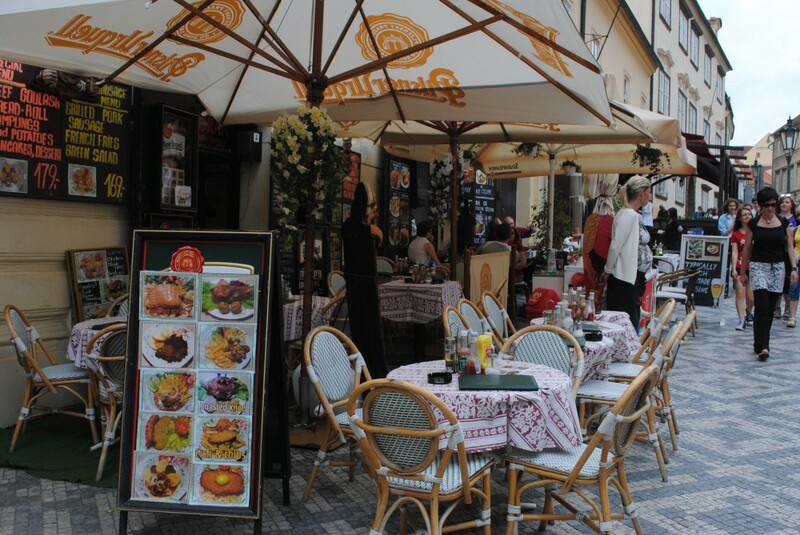 Czech food is no way as rich or as varied as Indian food. It does not have the depth or the sheer range. But what they have done to their cuisine leaves us many miles behind. 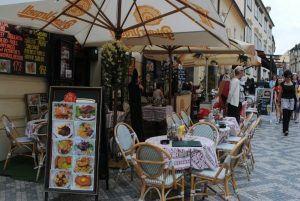 For one, all down Wenceslas Square are a succession of restaurants serving “authentic Czech cuisine”. Every last one has character: fading plush on the sofas, grand mirrors, imposing historical prints on the walls and a menu that typically lists the Czech triumvirate: meat, sauce, dumplings. Taste one morsel and you can discern the bucolic antecedents of the food, though with great ingredients and careful cooking, rusticity gives way to a more timeless character, neither rural nor urban. So you can expect veal knuckle, pork shoulder and beef goulash among other things. The meat is usually roasted, the sauce is creamy and flavoured with stock. It is the dumplings, though, that make the dish. Known collectively as knedliky, one variety that quickly became my favourite was the one made with squares of bread. There were other variations with flour, with egg, without egg. One of the glories of being in the picture-perfect town is the plethora of open air cafes. 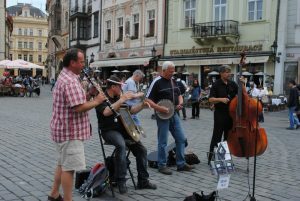 Five minutes away from Wenceslas Square in the Old Town Square, virtually every building has a café with seats in the warm sunshine. Beer is the beverage of choice Pilsner and Budweis are, after all, names of towns in the Czech Republic, but the region of Moravia is surprisingly good for wine. And what goes best with beer is cold cuts, so the huge array of hams and salamis that are the unsung heroes of the country is welcome. What I liked best about my week in Prague is the unselfconsciousness of it all. No, the lady at the bar counter didn’t know what part of the country the ham came from. Did I like it? Great. That was all that counted then. 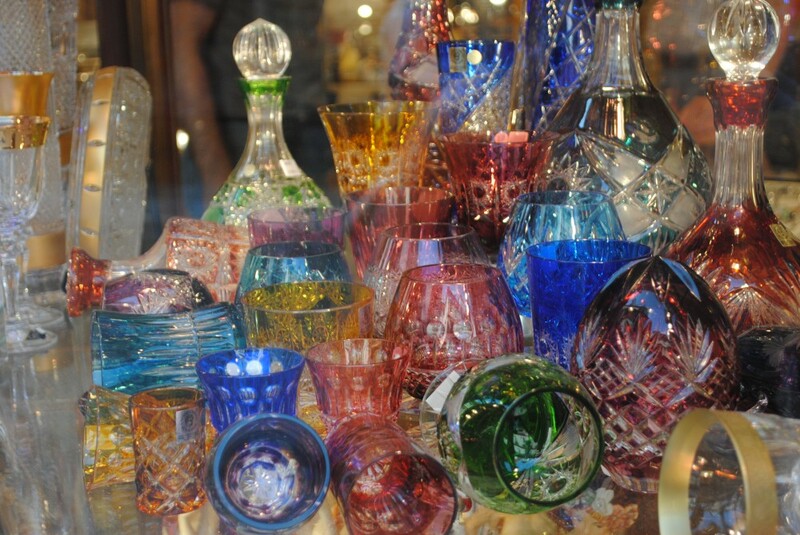 It was rather like the handicraft store that had branches all over the city: Manufactura. Coffee mugs, straw dolls and trendy table-ware shared shelf space with handmade soap. All of it was hand-crafted; all of it was rooted in the land. It was just that alchemy transformed the pottery into country cottage chic and the soaps into great gifts for friends: charming, stylish and quintessentially Czech all at once. Rather like the cuisine. So it came as no surprise that La Degustation Boheme Bourgeoise, the first Michelin starred restaurant in the city, used recipes from the 19th century cleverly juxtaposed with modern presentations. Hence, the contrast of tastes between venison, elderberry and celery depends on the age-old principal of fatty, fruity and fresh in one mouthful, but the presentations are entirely modern. It would have been tempting to gild the lily by having a restaurant in the grand tradition, but La Degustation has purposely been kept Spartan to highlight the food on the plates. A sophisticated touch, that. There is no a la carte menu offered in this 40 seater – only degustation is offered. At the other end of the continuum is the Medieval Tavern we visited outside Prague, though I understand that such themed restaurants are to be found in Prague too. You enter a building that looks modern enough, and inside you are transported into another world. Dark, candle-lit, rough floors, very rough service staff who will scream at you to get out of the way, ‘performers’ who do dare-devil acts with fire and even a couple of actors who ‘fight’ over a buxom wench, Medieval Tavern has to be the most fascinating theme restaurant it has been my privilege to visit. 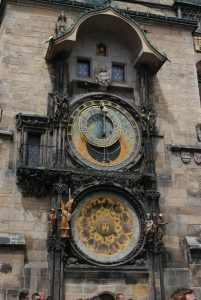 The theme is not an easy one to carry through – imagine having to talk incessantly in Czech as it was spoken 500 years ago. With no let up! Imagine having to heft enormous trays with gargantuan quantities of roast meats that could topple and cause serious injury. 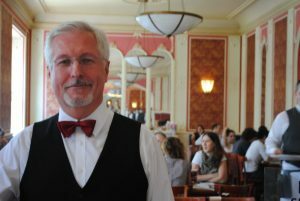 Most theme restaurants come across as slightly Mickey Mouse-like in theme or execution and far too self-conscious to be believable. Not this one. There’s hardly any choice of meats – you’ll be plied with sausages, roast beef, whole potatoes, pork knuckle and whole roast chicken until you are ready to turn vegetarian. The surprise was the profile of people dining there on a week night: only locals, with ours being the only non-Czech table. 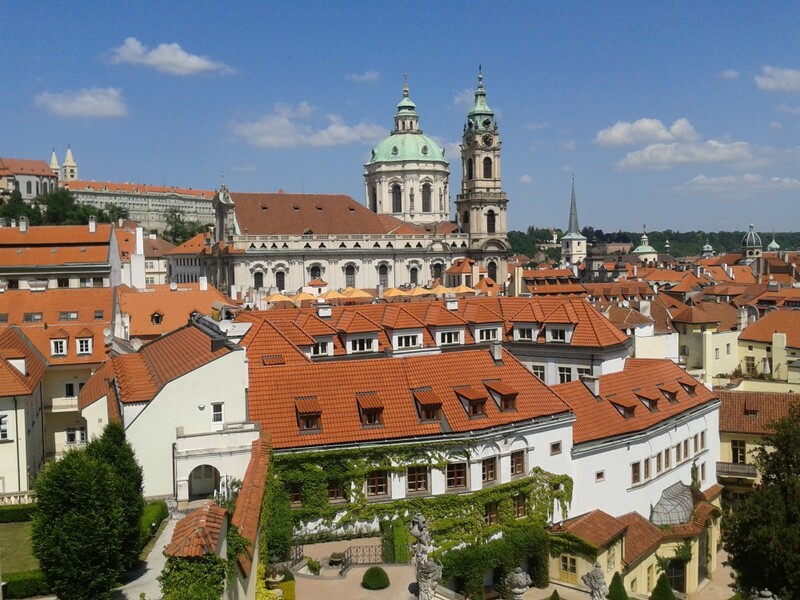 Diametrically opposite in ambience is the ethereally lovely Bellavista, with its impeccably maintained gardens from where you can see the entire city of Prague sprawled out below you. 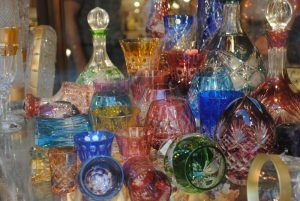 Sip a chilled chardonnay or a beer, catch the sparkle on the River Vltava, count the dozens of tiled roofs in every shape imaginable that is the defining feature of Prague. 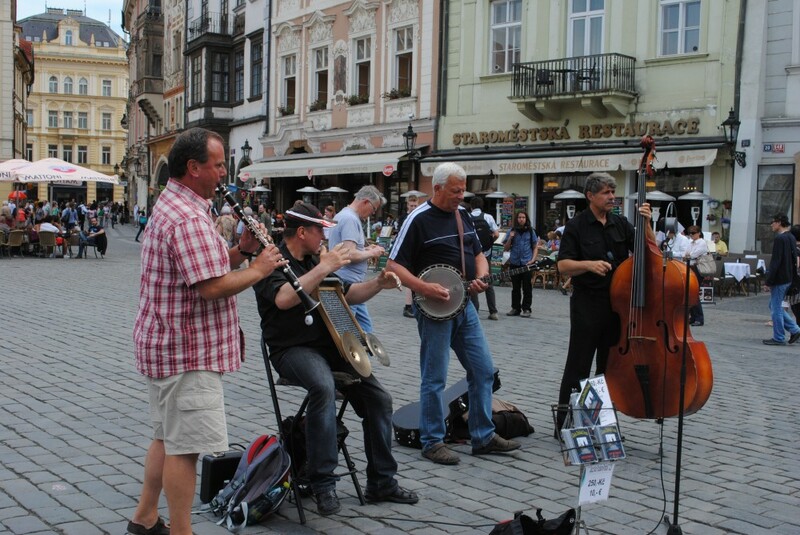 It’s the apogee of the Good Life, Czech style. Café Louvre with its elegant pink walls was a delightful confection of a place. 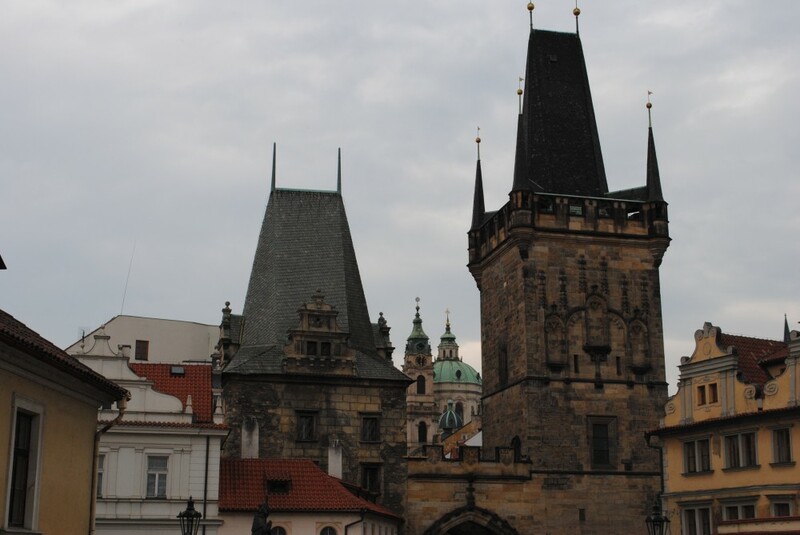 It was yet another category of restaurant in this remarkable city that effortlessly harnessed food and ambience into something internationally recognizable, yet with a Czech heart. It was a favourite haunt of Franz Kafka and Albert Einstein. I wonder if either gentleman ordered the cappuccino or the signature cheesecake with apricots. One week really does get over in the twinkling of an eye. And it’s time to emerge back into the cupboard and into the real world. One that has, alas, no fairytale restaurants.